Description: Sortlifeout.co.uk/home - Holistic Health Products and inspiring articles promoting a healthy, conscious and balanced lifestyle. 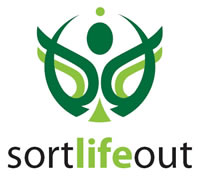 Sortlifeout started it's online journey in 1999 primarily as an information website full or inspirational articles focused on developing a Healthy Body and Mind. (Originally some readers may recall the website was under the domain of meaningoflife.i12.com). In 2004 we established a limited company and opened our Health and Beauty online store based in the UK. Since then we have been steadily growing and updating our products and articles. Discover Your True Purpose and See the beauty in all!